Remember Kelsey Aquiline? We met her in a previous interview and she was just preparing for a Fitness Competition. So we got back in touch and asked her to tell us all about this experience! 1. Hey Kelsey! It's great to have you back! I'm sure everyone is anxious to know, so tell us: have you won the competition? I did not win the competition, although I feel like I have won! 2. No problem because we still want to hear all about it! And you can start by telling us more about the competition itself. 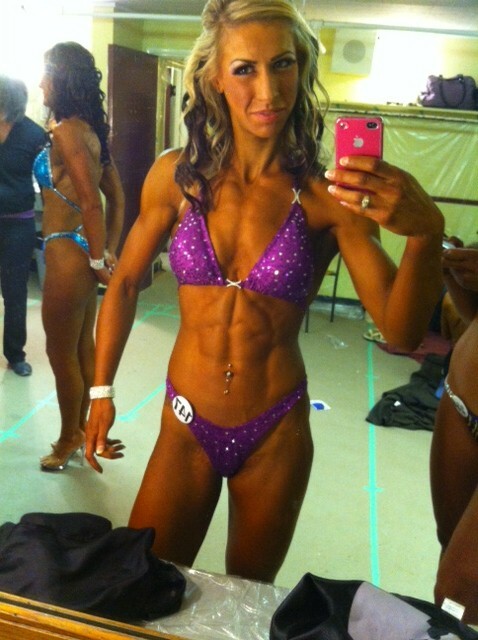 I competed in the Sandra Wickham Fall Classic within the BCABBA (British Columbia Amateur Body Building Association). It was the largest bodybuilding competition in BC in history and it was held in New Westminster, BC. I competed in the “Figure” category, in the tall class. I was up against a lot of amazing women, who have been doing this for a long time. I unfortunately did not manage to make top 5, but I did made second call out, which was still a win for me! That means if the placing went past 5, I would have placed between 6 and 9. 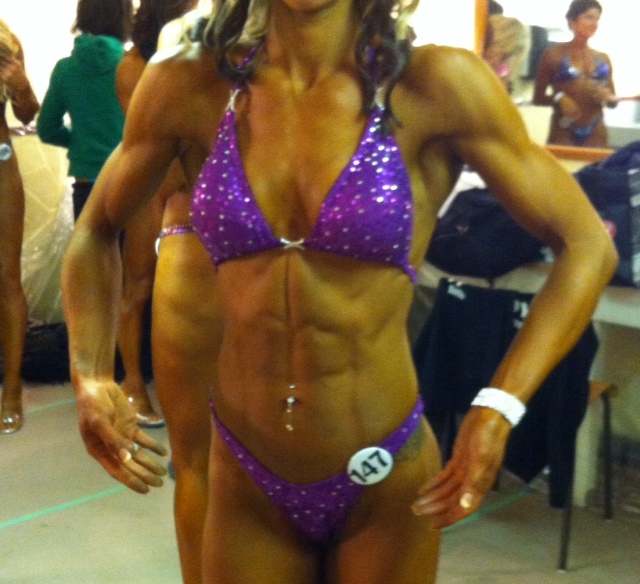 I was 100% happy with the body I brought to the stage! Of course, I plan to grow and make more improvements on my body, but my symmetry and size were there. I was pleasantly surprised by the way my body looked on stage. I believe my downfall was my stage presence. Being my first competition ever, I really didn't know how to handle myself well on stage. 3. Tell us more about how the contest went! In competitions there are two parts: prejudging in the morning (where majority of the judging is made) and the evening show (where the awards are issued). Due to the large amount of competitors in the show, the final decisions were made during prejudging with absolutely no room for any changes. I watched a video of myself on stage during the prejudging round, and saw where the improvements needed to be made. I feel I did correct a lot of what needed correcting by the night show. Still, there was no room for any judging changes, but that didn't mean I shouldn't do my best to make those corrections and present myself the best I possibly could. 4. Well, congratulations Kelsey! Simply to be on stage is a great achievement and requires A LOT of hard work and dedication. And speaking of that, tell us how you prepared for this competition? Competition Prep...where do I begin!! That saying "If it was easy, everyone would do it!" definitely comes into play during preparation for a competition. And I heard it A LOT during the last two weeks leading up to the show. Physically, the last two weeks are extremely draining. Mentally, that is a whole other ball game. I expected to have to push myself to the limits. In fact, that is what I was looking forward to! I love being challenged and finding out what I am truly capable of. I looked at myself as a strong individual, body and mind. But I would be lying if I said I didn't want to give up many times. My training really didn’t change much. A few hours of cardio a week were added. Everyone is different, personally I was only doing 5 hours a week. It was intimidating to me though. Cardio and I are not good friends. I struggled a lot with getting those 5 hours in on top of the regular amount of weight training I had been doing. That added a lot of mental stress. I was always worrying about getting to the gym and making sure I got everything done. At times I was so exhausted, just walking into the gym made me angry and miserable. I felt like I had nothing left to give! No rest days for the last little while gave me no down time, no time to recuperate. 5. And how your diet changed? I was pleasantly surprised that the amount of food I was eating never changed. The last approximately 4 weeks was the same. The only thing that changed was the type of foods I was allowed. I went from having a very large list of foods to choose from, to only having a few options (which really was not a problem to me). Sure, I missed having my favorite meals, but I knew that not only was it for a short period of time, but that it would be beneficial. The last few days leading up to the competition I had to stop training to allow my muscles to "plump up". This was a blessing! I very badly needed the extra rest, mentally it helped a lot. I also had to cut out all condiments and spices for the last few days, which included my staples, cinnamon and black pepper. Even though I was still eating the same amount of food, I felt extremely weak all the time, and ALWAYS hungry. This was due to the added workload of cardio and no rest days. My body was doing more work, with the same amount of fuel. I was shocked at how much of a difference that made to my appetite, moods, and strength. All the little details like tanning, posing suits, hair, make up...those were the easy, fun things that kept me sane, along with constant support from a couple truly amazing people I am blessed to have in my life. Many girls get spray tanned for the show and I chose a product called JanTana, which is a “do-it-yourself” foam that you apply to your body. I had used it once for a photo shoot and I really loved it. Not only is it inexpensive, but the touch-ups are super easy. Picking your posing suit is a lot of fun, so many colors to choose from, and lots of jewels! But I will say this, they are not the most comfortable thing to wear! I am lucky enough to have a make-up artist in my family, and she was willing to wake up super early on her day off to help me out. I am a gym rat, make up is not something I wear often. For me, having my hair styled and make-up done felt like a costume. But in a strange way, it made me feel like I wasn't my normally shy self. It allowed me to be confident and strut around on the stage like I needed to. As much as I felt like giving up at times, I had put so much time and effort into it that I couldn't allow myself to stop. And I am so grateful I didn't. The competition was one of the best experiences I have ever had in my life. Even though I came 7th out of 13 ladies, I am so proud of what I have accomplished. The people I met that day were genuinely kind and caring, and how could I not have the utmost respect for them? I know what they had to go through to get there! I definitely will be doing this again!! That’s great Kelsey! We would love to interview you again after your next competition!